If your case is acute. For chronic cases, Dr. Cardwell waits until he has had time to look over your information and come up with a diagnosis before treating you. In those cases, your treatment will begin on your second visit. Your first visit usually lasts an hour. Dr. Cardwell will make a recommendation on when you should return for your next visit. On your second visit, Dr. Cardwell will go over his report of findings with you before beginning your treatment. How often you see him after that is determined on an individual basis. The second visit usually only lasts about 30 minutes. 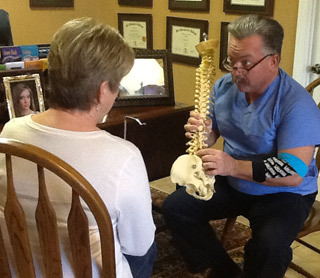 Check out our FAQ page for a few of the most common questions around chiropractic care.